Prizes includes roundtrip airfare on Air New Zealand from Los Angeles to the Cook Islands, accommodation for the bride/groom plus four guests, and an eco-friendly wedding ceremony and reception including South Pacific traditions. To enter, visit www.cookislandsgreenwedding.com. Brides/grooms will need to submit 50 words or less as to why they are the "ultimate green couple". Entrants will be judged on pertinence to theme, creativity, and inspiration. The Carbon Neutral Wedding contest runs now through June 30, 2010. 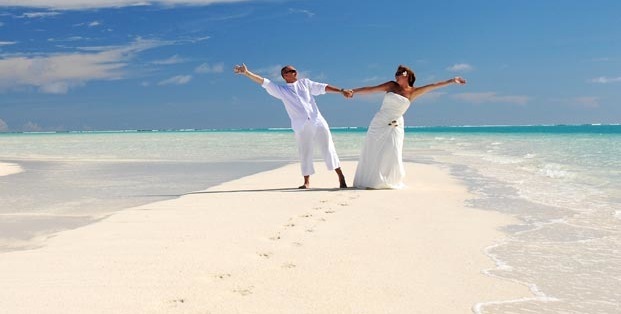 In addition to the eco-friendly destination wedding, Cook Islands Tourism Corporation is doing their part in sustainable tourism by offsetting CO2 emissions generated from all trip components including, accommodations, transfers and the wedding itself! For official rules and to learn how the Cook Islands are doing their part to help sustain the environment, visit www.cookislandsgreenwedding.com.